The students in our ITWorks Philadelphia class are at the halfway point of the Fall 2016 session! With internship interviews currently happening and certification exams around the corner, the second half is sure to be exciting. Amir Dawan had a circle of friends who were all interested in information technology. When one of them found success through ITWorks, he knew that he needed to be part of the program! We sat down to check-in about his experience – read on to learn more! ITWorks: What had you been doing prior to starting ITWorks in regards to work and/or school? 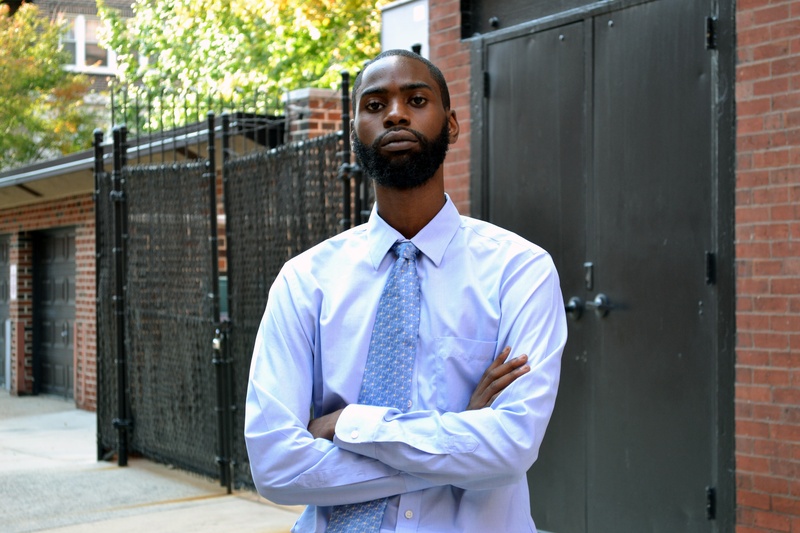 Amir: Before ITWorks, I did some time at Community College of Philadelphia (CCP). I was taking classes there part-time until 2014. At that time, I was hired year-round with Universal Companies which is a construction company that also owns several schools around the city. When that happened, I decided to take a break from classes so I could focus on earning income. ITW: How did you hear about the ITWorks program? What made you decide to apply? A: I heard about the program from my friend Matthew. He had friends who went through ITWorks before him, and after he was successful in graduating and finding a successful job in the field; he encouraged me to apply. We had a group of friends who had all been interested in video game design and learning C++. Nearly that entire group has now graduated from the ITWorks program now! When Matt was going through the program, he was telling me about the opportunities that he was presented with and the large network he had created. He told me that the internship at the end was a great deal of help as well. It seemed like it was so much more than an educational environment; that it was really preparing people for careers. And to top it all off; it’s free! I knew that I had to apply. ITW: You’re about halfway through the program at this point. What has been the most challenging part of the classroom experience thus far? What about the most rewarding part? A: Honestly, I have not had too many challenges at this point! I could say the port numbers; but there’s not really a way to elaborate on that. It’s just memorization. My favorite part, though, would have to be learning specific details about different hardware components. That was what interested me the most when I started the ITWorks program. Since starting, I have taken my old laptop and removed the hard drive and have connected that to my new laptop. I never would have thought of doing that before I became an ITWorks student! ITW: We focus on professional development each week with our Friday Sessions. What have you liked most about these sessions? A: The resume workshop was amazing!! We were at the Pyramid Club, so the view was amazing first and foremost. However, I really needed help with my resume to make it professional enough to match my interview skills. They even provided us with tips on how to keep our resumes top notch as we continue in our careers. It has been my favorite session so far. ITW: What are you excited about during the internship? Is there a specific experience you are hoping to walk away with? A: I’m very excited about getting to be hands-on with the computers and getting into a work environment. We have spent several months now learning, and testing, and talking about all the things that we might be able to do. The internship is really going to allow me, and my classmates, the opportunity to put that knowledge to the test. ITW: Graduation is just a few short weeks away. Do you have any expectations on how the job search process will be? A: I have a few connections that have told me to reach out after I receive my Cisco and CompTIA certifications; so that is going to be my first step. Other than that, I plan to just send my resume to as many places as I can in the areas of troubleshooting and security to see what I can find! ITW: What has been/will be the impact of ITWorks in your life? A: I can’t even begin to explain the impact it has had in my life. When I was working at Universal, even though I did like the job, I didn’t feel as though I was going somewhere with upward mobility. Even at CCP, I didn’t feel like I was making progress or working towards something. ITWorks has completely changed that. With the applied skills being taught, I feel like I can do something with my life and that I will accomplish my goals. To be honest, it was super unexpected. I never thought I would reach this point in my life, but the program is so helpful. I’m honored to be here! ITW: What are your hopes for the future of ITWorks in Philadelphia? A: I would hope that in the future that ITWorks can grow and become a bigger program – maybe even offering other classes that help graduates pursue certifications in other areas like security and networking. ITW: Do you think you’ll want to stay involved with ITWorks after you graduate? A: I would love to be involved with the program after I graduate. It’s given me so much that I definitely want to give back and help somebody else. It’s a great feeling when you get to help someone with no expectation of something in return. That’s what all of the volunteers with ITWorks do – they give their time out of the goodness of their heart. ITW: Is there anything else about your experience with the ITWorks program that you’d like to share? A: The support from the ITWorks team/staff has been exceptional. Everyone in our class was given the opportunity for clothing resources at MenzFit or Career Wardrobe so they could access professional interview clothing. It’s the extra steps like that which make ITWorks such a unique and phenomenal program. A lot of us wouldn’t have had the means to purchase those items otherwise. I am so appreciative of all the support from the team.